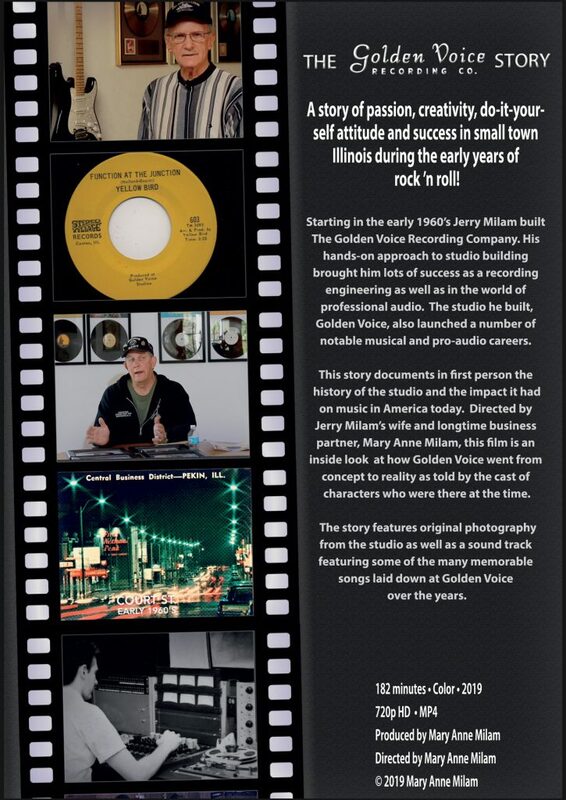 A story of passion, creativity, do-it-yourself attitude and success in small town Illinois during the early years of rock ’n roll! 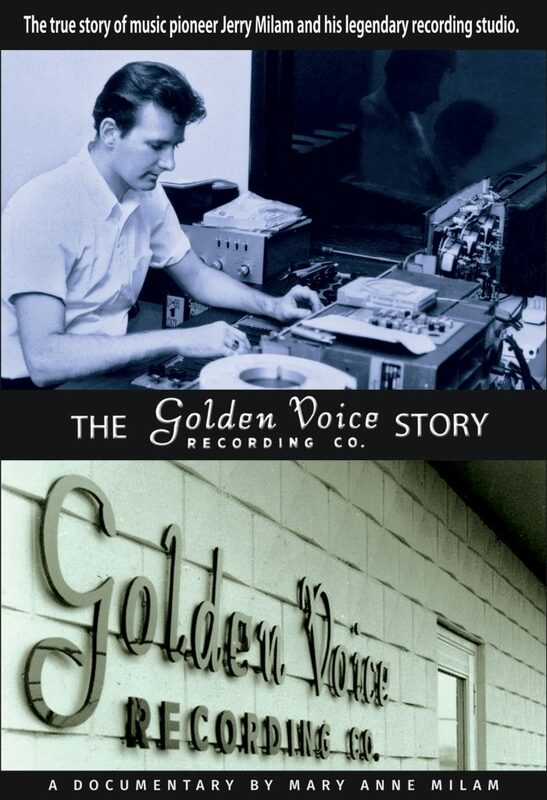 Starting in the early 1960’s Jerry Milam built The Golden Voice Recording Company. His hands-on approach to studio building brought him lots of success as a recording engineering as well as in the world of professional audio. The studio he built, Golden Voice, also launched a number of notable musical and pro-audio careers. This story documents in first person the history of the studio and the impact it had on music in America today. Directed by Jerry Milam’s wife and longtime business partner, Mary Anne Milam, this film is an inside look at how Golden Voice went from concept to reality as told by the cast of characters who were there at the time. The story features original photography from the studio as well as a sound track featuring some of the many memorable songs laid down at Golden Voice over the years. Produced and directed by Mary Anne Milam. Unreleased pop-psych masterpiece from Morton, Illinois’ Thanatopsis. This album was recorded c. 1968 at Golden Voice Recording by Jerry Milam and unheard until 2018. Thanatopsis treats us to everything from baroque pop to psychedelic teenbeat garage. 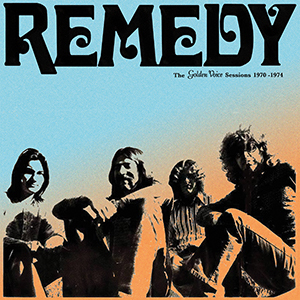 This release contains the first and only official reissue of the songs from their sought-after Golden Voice 45 as well as 10 other cuts, ranging from Mothers Of Invention inspired wackiness to sincere late ’60’s teen pop. Thantaopsis pushed the limits of the freshly built four-track studio with new sounds and experimentation. LP / CD / Digital include insert with rare photos of the group and detailed liner notes. The Contents Are was a band from the Illinois / Iowa border. They were based in the Quad Cities. 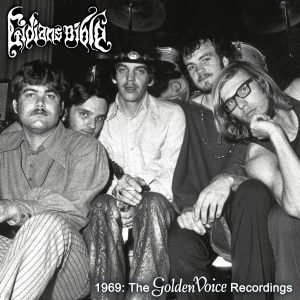 They recorded an album in 1969 at Golden Voice which was never released. It is now available on LP / CD and digital via Alona’s Dream Records. Some great Golden Voice music back on vinyl! Some new releases of old music coming from a collaboration between Alona’s Dream Records and Golden Voice! Out now is Pekin, IL group Abaddon. Their sole 45, released in 1969 is now available as a nicely packaged reissue. Coming soon is Remedy. Their unique brand of funky hard rock is finally seeing release after 40 years! Back to Top | Comments Off on Some great Golden Voice music back on vinyl! Abaddon’s Blues Tomorrow / Gotta Have it reissue is now available for preorder from Alona’s Dream Records here: https://alonasdreamrecords.bandcamp.com/album/blues-tomorrow-7. Straight from the vaults of the legendary Golden Voice Recording Co. comes the official repress of this early hard rock gem from 1969 by Pekin, Illinois band Abaddon. This limited edition reproduction 7″ is sourced from the original tapes and comes in a handsome picture sleeve. Includes a two sided color insert with the history of the band as well as never before seen pictures! Irv Espedal, unreleased 1973 recording. Irv Espedal recorded only one song called “I’ve Learned to Survive” at Golden Voice around 1973. It was recorded with Jerry Milam engineering the session. Irv had recently taken a job in Peoria, Illinois, moving there from his native South Dakota. Upon his arrival he met Jerry, who encouraged him to record a number of the original songs he had written. The song featured Irv on lead vocals accompanied by three studio musicians coordinated by Jerry to lay down the instrumental tracks. At the time Irv didn’t have the funds to continue his project so the music never made it to an actual vinyl record. Being from a small town in South Dakota, Irv was impressed with Golden Voice as it was the first experience he had with professional studio. He says “Jerry played the final cut over the studio speakers and the sound mixing was impeccable.” The song is also notable for the high quality playing of the regular session musicians who were around Golden Voice in it’s prime. Irv got his start playing in a group called Dee and the Sabers from Mt. Vernon, South Dakota. Starting out in the 1960’s the group consisted of Don “Big D” Oakley, lead guitar; Vern Descombaz, lead rhythm & vocals; Bob Kretchmer, bass guitar; Charles “Skip” Hayes, drums and Irv Espedal, rhythm guitar & vocals. “The Sabers’ claim to fame was a new idea at the time: about a week prior to a performance they would roll into a sleepy South Dakota farm town. They would search out an old (or possibly vacant) venue and post their promotion flyers announcing a live music dance. Returning to play on Saturday night, the Sabers were greeted by enthusiastic crowds happy to pay the one dollar admission collected at the door. Occasionally the Sabers would book a gig at an established ballroom which may have featured the likes of Conway Twitty the previous week. The Sabers also played high school proms. One particular night, the band had booked a prom in Murdo, SD. Like most bands in the area, they used a 2-wheel trailer pulled behind an automobile to carry their music equipment. However they had just recently acquired from an estate sale an older Cadillac hearse. Intending to use it for camping, the previous owner had welded a 1955 Ford car body onto the top of the hearse which made it ideal for hauling lots of stuff. To get to the prom gig in Murdo, the Sabers loaded the band and all their equipment into the hearse. With Irv at the wheel, they headed west on HWY 16 in the early afternoon. About two miles outside of Murdo, and cruising along at about 80 mph on an S curve, there was a major malfunction. No one in the band had given it any thought, but since the hearse had sat idle for a couple of years prior to the estate sale, the tires were in terrible shape. As bad luck would have it, both of the rear tires blew out and the vehicle immediately lost control, rolled three times down a steep embankment, and landed upright in a field. The Sabers were only slightly injured, but all were somewhat shaken. During the hearse’s downward descent, the doors had popped open. So as the South Dakota highway patrol investigated the crash, the band gathered up the instruments that were scattered along the embankment. A farmer driving a stock truck stopped at the scene and offered to help load everything in the back of his truck and haul it to Murdo High School. Long story short…the Sabers collected themselves, managed to put their instruments and gear into playable condition, and made it to the Murdo school prom nearly on schedule. The hearse had been towed to an auto shop, and while the band played, and even with the severely bent frame, it was made drivable with two new used tires. The band made it back to Mt. Vernon at sunrise. A couple of the Sabers took sledge hammers to the hearse to put it out of its misery. This ended up being the final performance of Dee and the Sabers together. Back to Top | Comments Off on Irv Espedal, unreleased 1973 recording. 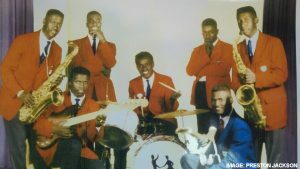 Although they never recorded at Golden Voice, Preston Jackson and The Rhythm Aces were a major group on the central Illinois music scene from the 1950’s through the 1970’s. Preston Jackson, a world-renowned sculptor and accomplished jazz guitarist, is probably one of the few musicians who can say he performed with Richard Pryor, a groundbreaking comedian with roots in Peoria, Illinois, close to Golden Voice Studios. His band, Preston Jackson and the Rhythm Aces, was a Decatur, Illinois, based doo-wop / R&B group who played the Mississippi river chitlin’ circuit from 1957 through the 1970s. Just teenagers when they started playing professionally, the Rhythm Aces played in the cleaner-cut genera of Doo-wop. Jackson says the blues was not considered a safe occupation for teenage boys, owing to the sporadicly violent nature of the blues scene at the time. Jackson says his guitar style was inspired by T-Bone Walker, Wes Montgomery, Barney Kessel and Johnny Smith. Their contemporaries in the local area included Peoria-based blues pianists Jimmie Bell and Jimmy Binkley as well as local rocker Byron “Wild Child” Gipson. They also played alongside the young Pryor, who performed for tips literally thrown on the floor at Bris Collins’ Collins Corner in Peoria. But Jackson remembers it was a tough crowd for Prior at the time since no one wanted comedy. “The crowd just wanted to hear music they could bump and grind to,” he says. The group’s singer was Joe Merryweather. He would also record for the Decatur based Riot-Chous label. There were also back up singers, Mary and Stevie Hicks. Preston Jackson’s first recordings would come via the Vee Jay label in 1961 (VEE JAY 417 Preston Jackson and the Rhythm Aces Be Mine / Joni). The group’s strong talent and sharp dressing made them popular, which was augmented by another recording with Blaine Gauss’ Peoria-based Hit Records. Jackson recalls seeing Blane’s large downtown Peoria building with a room with recording equipment. It was the same recording equipment that inspired Jerry Milam to build Golden Voice Studios in South Pekin, Illinois. It was also the same place where Milam would take the first promotional photos of Pryor for Blane, who was his manager at the time. 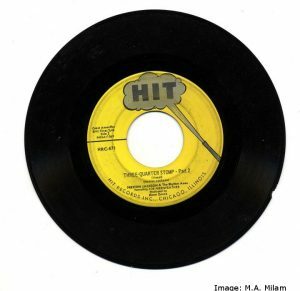 The result of the recordings for Gauss in 1963 was the infectious R&B classic “Three Quarter Stomp Parts 1 & 2.” That record was also a hit and was re-released nationally via Hermitage records in Nashville. There was another earlier modern harmony group called The Rhythm Aces who had a release in the 1950s on Vee Jay, but the two groups are unrelated. A California based-group also released a record around 1960 as The Rhythm Aces called “Crazy Jealousy / Boppin’ Sloppin’ Baby” for George Goldner’s Mark-X records. According to Jackson, the other group started using the name, and when they found out, the band offered Preston $400 for it. The Illinois-based Rhythm Aces chose to stick with the name they had since 1957 and force the other group to change despite the offer. In fact, when it came to money, the group never had much luck. They never really were paid for any of their releases, Jackson says. He continues to play guitar to this day and is a professor emeritus of sculpture at the School of the Art Institute in Chicago. 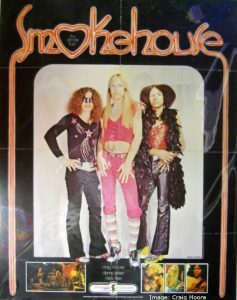 Smokehouse was a mid-seventies hard rock re-incarnation of the psychedelic heavy-blues band Ilmo Smokehouse. By 1975 this line up featured former Ilmo Smokehouse players: Craig Moore (of the mythical GONN) on bass & vocals, Dennis Tieken on drums and newcomer Micki Free on guitar. The group was managed by rock n’ roll legend Freddie Tieken (More info on Freddie and Ilmo Smokehouse here: http://freddietieken.com) The group recorded a series of demos at Golden Voice. We Just Want To Live was written by Craig Moore in 1971 while with a band called Joshua. This version of the song was recorded at Golden Voice in 1975 with Terry Jamison engineering. “This was the first real studio we had been in since doing the ILMO Smokehouse album at Dan Penn’s Beautiful Sounds Studio in Memphis in 1969. I had no idea whatsoever of the Golden Voice story or history at the time. Band manager Fred Tieken had his own studio in the 1960’s so he no doubt knew about it, which is how we ended up there. Back to Top | Comments Off on Smokehouse demos.